The writer and director Bryan Forbes, whose films included Whistle Down the Wind and 1970s horror classic The Stepford Wives, has died aged 86 following a long illness, a family friend has said. Forbes, who began his career in film as an actor and screenwriter and became one of the most important figures in the British film industry, died surrounded by his family at his home in Virginia Water, Surrey, friend Matthew D’Ancona said. 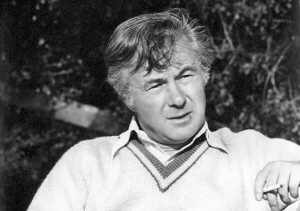 He was married to actor Nanette Newman, who appeared in several of his films, and with whom he had two daughters – the TV presenter Emma Forbes and the journalist Sarah Standing. Forbes, who was made CBE in 2004 for services to the arts and the National Youth Theatre of Great Britain, was born John Theobald Clarke in Stratford, London in 1926. He began acting in the late 1940s after changing his professional name, playing a number of supporting roles in notable British films including An Inspector Calls and The Colditz Story. But he soon became better known as a screenwriter and director.